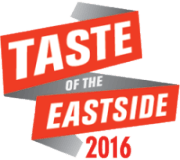 The 6t h annual Taste of the Eastside – May 1, 2016. Taste of the Eastside is a food & drink festival that showcases the ever evolving, diverse food scene of the eastside neighborhoods of Silver Lake, Echo Park, Eagle Rock, Highland Park, Los Feliz, Atwater and beyond. Local restaurants/food vendors/chefs showcase a signature dish, or create something unique specifically for the event. Last year, Bon Vivant presented their Oaxacan Razorblade cocktail – prepare for another kickass cocktail this time around. Other vendors include: Silverlake Wine, Donut Farm, Kitchen Mouse, Wax Paper, Momed, Barcito, Mohawk Blend, Lemon Poppy Kitchen, Eagle Rock Brewery, and many more. Plus the historic venue is definitely worth a look-see. Comprised of beautiful mission-style grounds, the Los Angeles River Center is a hidden jewel, sequestered behind thick, ivy covered walls, with fountains, flowers and serenity inside. The Center serves as a focal point for the renewal of the Los Angeles and offers a vision for the LA River’s future.